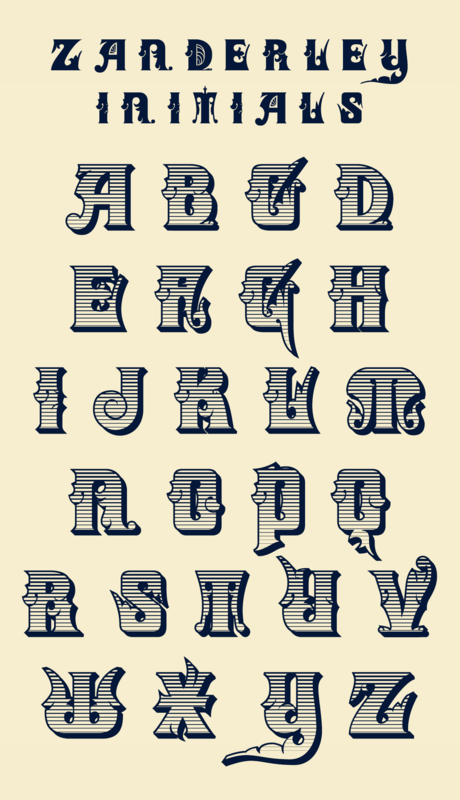 I like the Gothic way in which the bolder version of Zanderley (shown first) combines heavy black solidity with fanciful curlicues – reminiscent of a traditional German font. But a few of the letters don’t seem sufficiently distinctive – e.g. M and T look somewhat alike. Perhaps the latter’s folded wings could be made shorter than the central stalk? Ian, a good example of why I like to post ‘previews’ of work in progress on here. As with any creative endeavour, it is almost impossible to see your work as others see it. There’s certainly food for thought in what you say.